In need of the portable metal detector that can be used in place as the schools, airports, industrial zones, government buildings, meeting places, courtrooms, corrections facilities, sports events, businesses, Night clubs, bars and other public areas, events and many other safeguard security-sensitive areas? If so here this High Sensitivity Security Portable Metal Detector can be a good choice for you. This security portable metal detector is useful and charming. Firstly, this handheld metal detector own the red LED display and when you press the light-emitting instructions will appear. Besides this portable metal detector is designed with drop-min button and when it is presses it enables the detection of metal detector sensitivity by about 50%. Therefore, this handheld metal detector can also be used to detect large metal object such as place where may contain a large number of steel bars Floor near the detection. Moreover with the design of the headphone jack, if the operator wants to know the detail circumstance, they just need to insert the headphone and then they can know the condition clearly. Last bit very important is that this security portable metal detector owns high sensitivity as its sensitivity is sufficient to detect the 25 cents coins. If you are looking for a security portable metal detector, right here this one can be the perfect selection. Drop-min button: When pressed, enables the detection of metal detector sensitivity by about 50%. Therefore, may contain a large number of steel bars Floor near the detection, or used only to detect large metal objects. The headphone jack: The results in the detection of a user, I only need to know the circumstances that can be used to insert the headphone jack placement. Nice service and happy purchasing experience. The service of your clerk is thoughtful and satisfying. It is really a happy purchasing experience. I appreciate it very much. I bought this kind of metal detector recently, guess what? I detected some coins with it. How happy i am ! 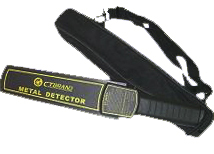 The sensitivity of this metal detector is very high, it really helps me a lot in my detecting. 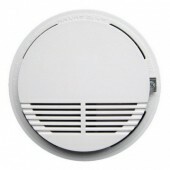 The device is very light in weight, it is very convinent to bring with. And the operation is very easy. I have received the product you sent to me, very good quality and the price is not expensive, I like it very much.